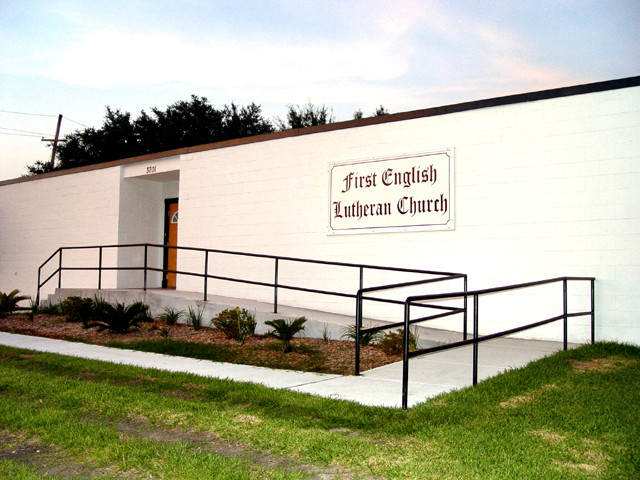 First English Lutheran Church, Metairie, LA. Console of the Goulding And Wood Pipe Organ (comprised of pipe work from the fire damaged, Möller built Dillard University Chapel organ) and which has served both the Franklin Avenue and Metairie churches of the First English Lutheran congregation..
First English Lutheran Church was founded in 1886 to serve the English speaking Lutherans of New Orleans. 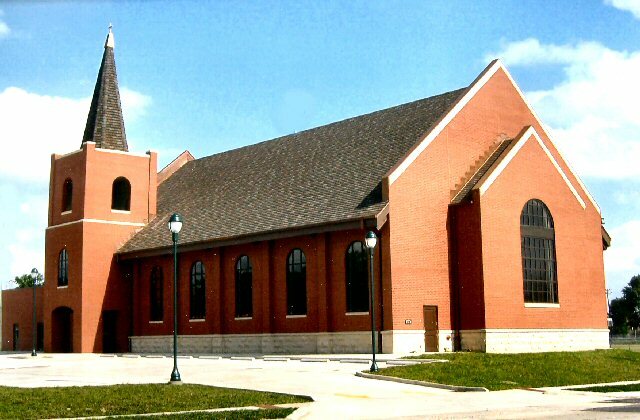 German speaking Lutherans attended nearby St. Paul's Lutheran Church where services were conducted in German. The following photos illustrate the succession of churches and growth that this church enjoyed over it's 120 plus year history. 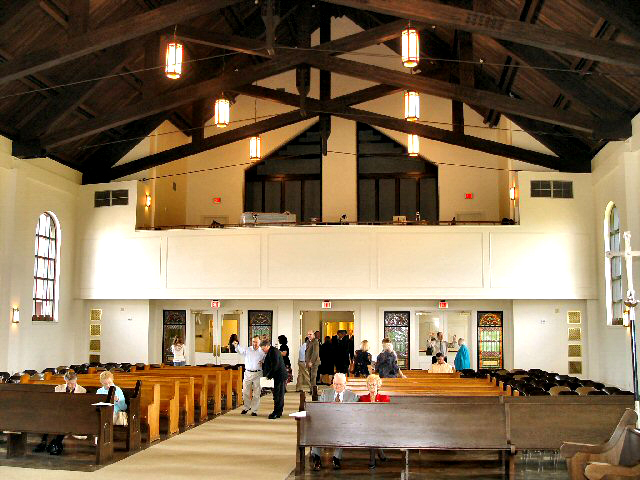 First English Lutheran Church has had a number of organs in its history. 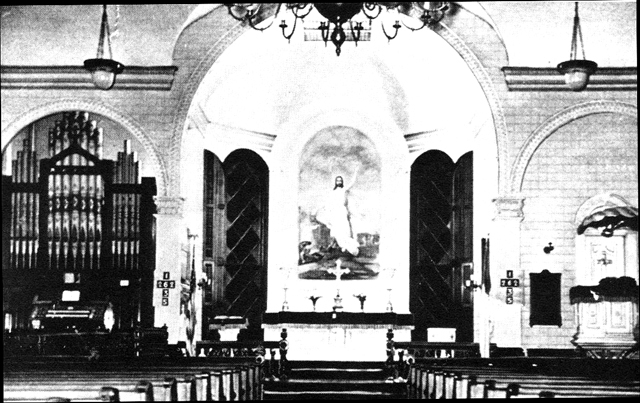 The church purchased a Barkhoff organ of 2 manual, three divisions and 12 ranks in the late 1880's. 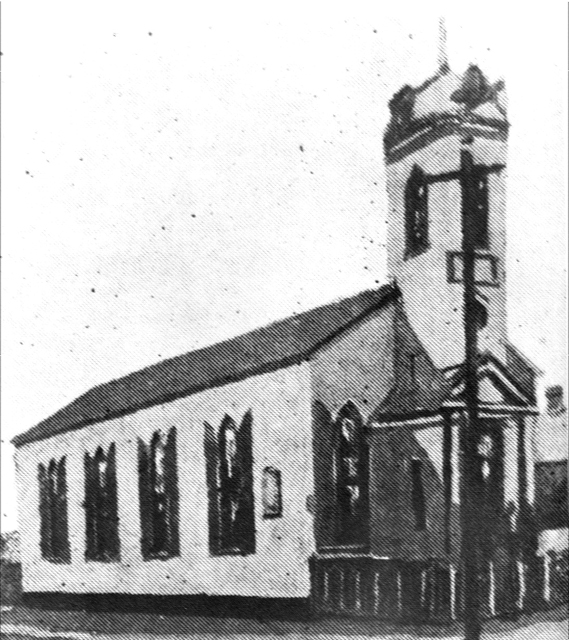 Records indicate that the organ was relocated to the second church, on Port and St. Claude at the time it was constructed. 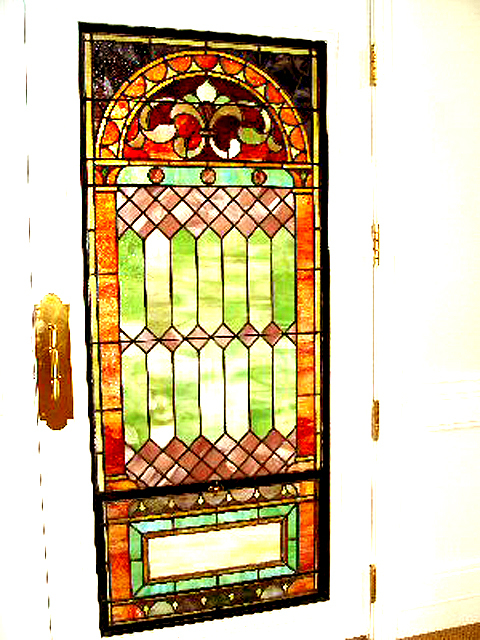 According to persons familiar with the church history, the Barkhoff was again moved when the congregation completed their third location on Arts Street. Shortly thereafter, the church was able to obtain a 19 rank Moller organ that was partially damaged by a fire. That organ was previously installed in the chapel of Dillard University and was Moller Opus 8843. The organ was installed and made playable by Rive Organ Company of New Orleans. 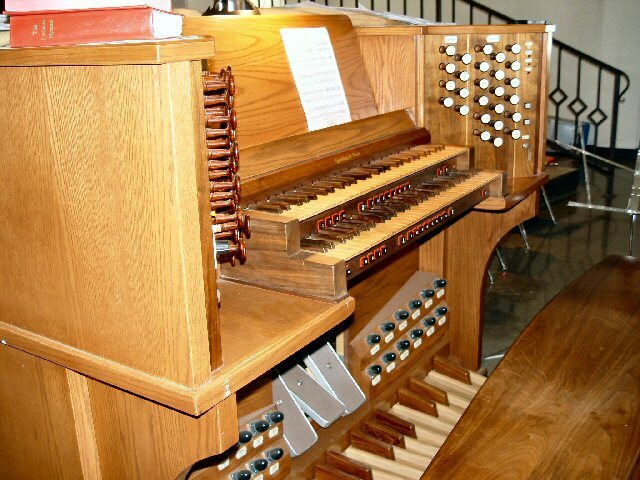 In the mid-1990's a fire in the console of that organ again rendered it inoperative. At that time, the firm of Goulding and Wood was contracted to replace the console and to make other repairs and upgrades to the organ. 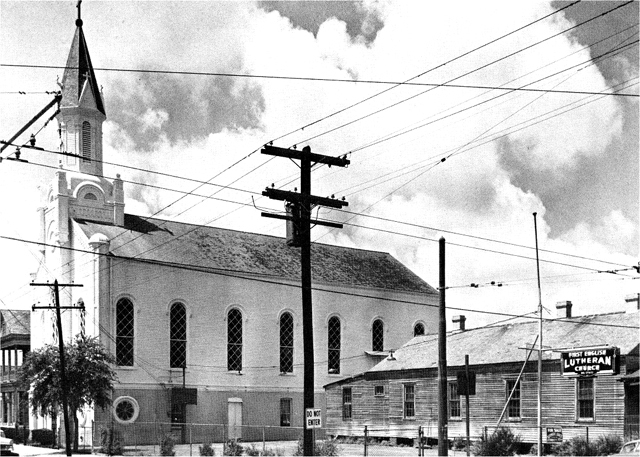 In 2002, the church was again forced to move due to deteriorating conditions in the Bywater neighborhood where it was located. At that time, James Hammann was contracted to remove the organ and store it, pending construction of a new church in Metairie, LA. 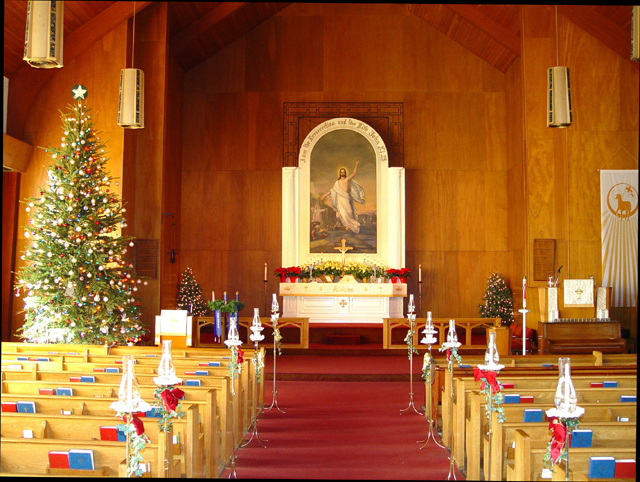 During the interim period, First English Lutheran Church operated from a temporary chapel on the campus of Lutheran High School. 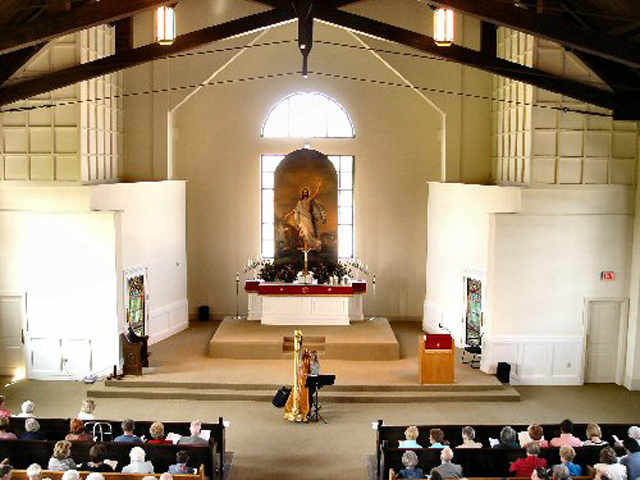 A Yamaha digital organ was given to the church for use in that facility. 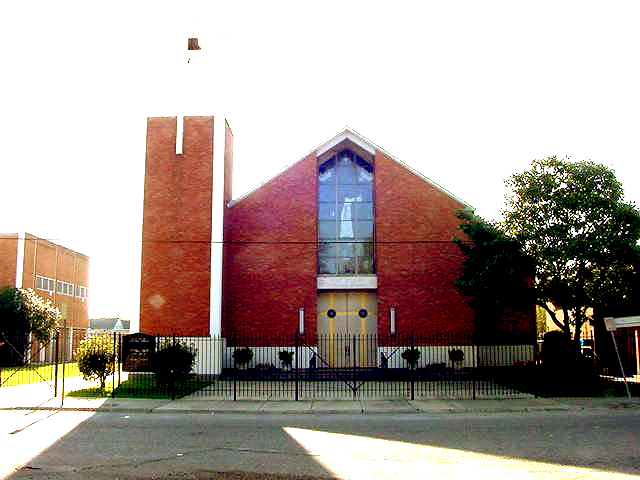 The new Metairie church was completed in the years immediately following Hurricane Katrina and, at that time, the Goulding & Wood / Moller instrument was releathered by Patrick Murphy Organ Builders, and installed in the new church by James Hammann. 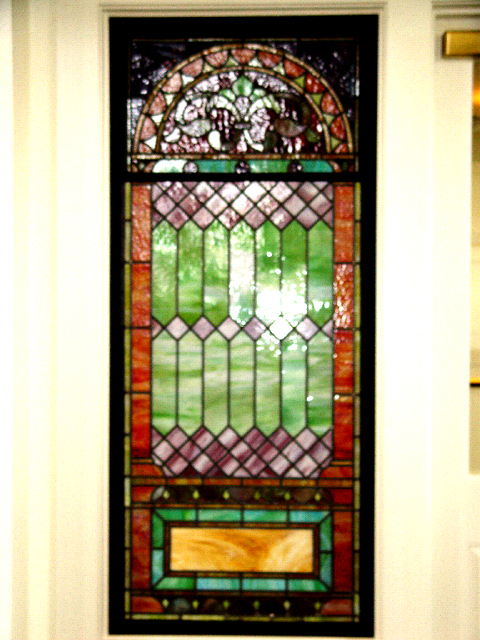 It is believed that the instrument is currently in use.